Talk about pigging out. 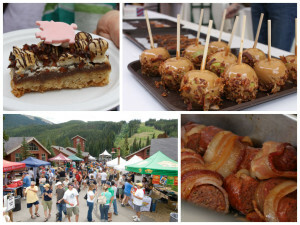 The Blue Ribbon Bacon Tour returns to Keystone Resort’s River Run Village June 21-22 with bacon, bacon and more bacon. In total, there will be 3,000 lbs. of bacon in every shape, size and variety. Drink bacon. That’s right. Add a side of bacon plus some celery, olives, lemon, lime and maybe some more bacon and you’ve created the best, most yummy bloody mary. In fact, Keystone is boasting the largest bloody mary bar in all of Colorado at the Blue Ribbon Bacon Tour. Sweet bacon. 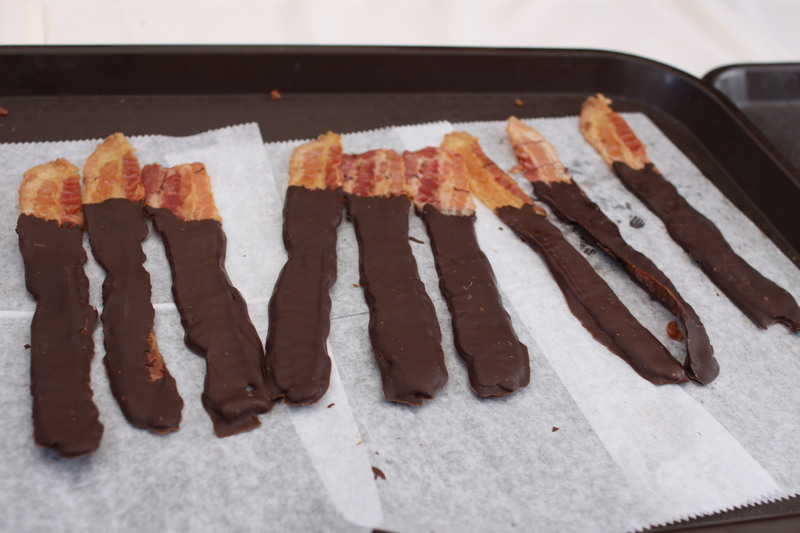 If you love bacon, imagine it with chocolate. Can you say yum and yum? Make sure to sample some of the sweeter bacon bites at the festival like bacon s’mores, bacon ice cream and bacon-covered chocolate. Bacon straight up. If you love bacon, then you’re in luck. Sample bacon, bacon and more bacon strips all day long for two straight days. It’s a bacon festival. The best way to celebrate is to eat … well, you guessed it, bacon. Tasting tickets are $4. Packages range from $20-50. Helle’s Belles and other free music. Hell’s Belles returns for their 4th appearance at the Blue Ribbon Bacon Tour. Rock on to the all-girls AC/DC tribute band. Don’t miss the other free shows from Big Onions, The Woodies, The Great Unknowns and Terrance Simien & The Zydeco. For more information, click your way to www.keystonefestivals.com. Don’t forget to hashtag #keystonemoments and #keystonebacon to win free bacon for a year. Stay Festival Weekends and Save! Book with Keystone Resort Property Management (KRPM) and receive exclusive benefits for The Blue Ribbon Bacon Tour. Free entry into ClubSizzle -Warren Station on Saturday night.